Bowie's most po-mo moment on Low, and also arguably the most beautiful, 'Subterraneans' is a multi-layered and celestial piece, a sonic painting brimming with referentiality and subtext. 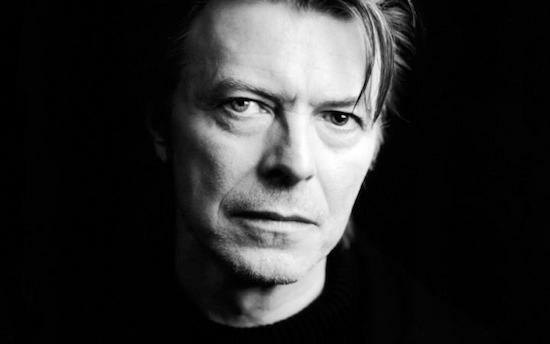 With a reversed bassline taken from his rejected The Man Who Fell To Earth soundtrack, Bowie references his attachment to the film, to his character Thomas Newton, and to the general sense of a man out of step, and out of time, with his surroundings – allegorically explored earlier in his work through his 'Major Tom' character. The main melody, a sweeping and encompassing phrase, contains a melody audibly mirroring Edward Elgar's 'Nimrod' from his Enigma Variations. Whether coincidental or deliberate, there are subtexts to be read here. 'Nimrod' is part of a series Elgar wrote in which each piece obliquely referenced one of his acquaintances. 'Nimrod' referenced Augustus J Jaegar, who convinced Elgar, when in a moment of great despair, to continue writing music, citing the German composer Beethoven as an inspiration. Bowie, too, was surfacing from a period of disillusionment, despair and drug induced creative drought – perhaps Visconti and Eno were his Jaegar? Or perhaps the idea of Berlin, and its isolated idealists, was his muse? The shimmering ethereal backwards melodics combined with synth-strings recall Eno's solo work significantly – on 'Subterraneans' more so than on any other Low composition. Lyrically, Bowie echoes the cut-up style of beat poetry, and a lone jazz saxophone answers the lyrical call, summoning surrealism and the creative fire of Burroughs and Ginsberg. Regardless of the replete referentiality of this track, its real beauty is that it works emotively, a contemplative and fragile beauty like ripples on a lake, Subterraneans' melodies flow organically. Ripples too, of its magic can be discerned in Vangelis' Blade Runner soundtrack, and most audibly in Angelo Badalamenti's collaborations with David Lynch – Subterraneans reaches towards futurity with a surreal and mystical architecture.